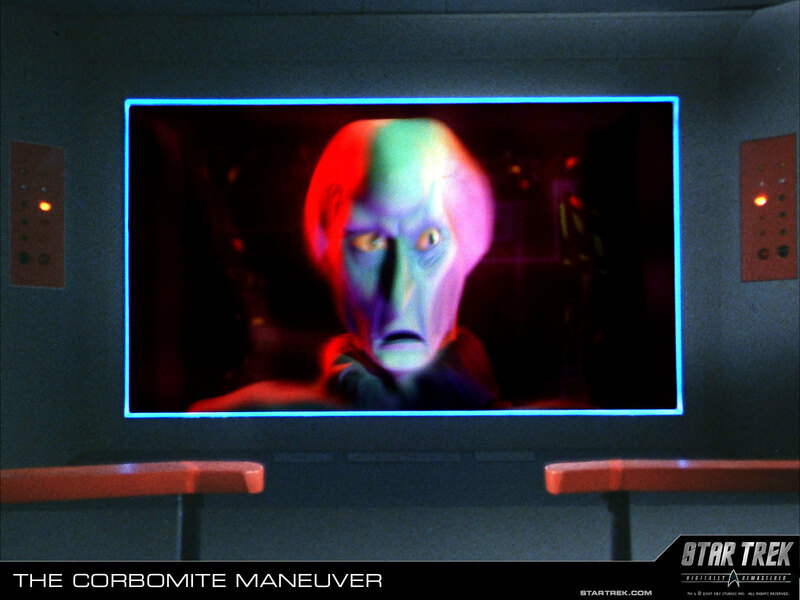 Retro Review: Star Trek, "The Corbomite Manuever"
Between the return of Breaking Bad, the end of Eureka and spending far too much time looking at the newly released Next Generation Blu-Rays and going, "Ooohhhh...pretty!" I haven't devoted a lot of time to my journey back through classic Star Trek of late. 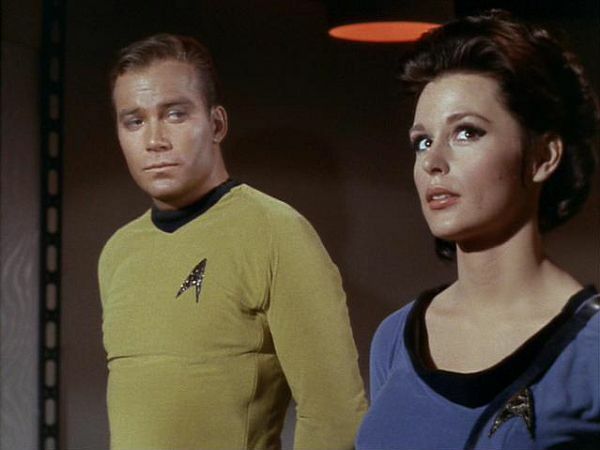 But I've jumped back on board the starship Enterprise for the first episode produced after NBC picked up Star Trek. Rick and Bubba are fond of saying they don't consider themselves comedians, but they just report on the funny things that happen to them. Consider this me reporting on something funny that happened to me yesterday. I got a call from the Vanderbilt University athletics department. My first thought was--oh no, they've read all the disparaging Commodore remarks I've made over the years and have finally called to tell me enough is enough. Their record indicated that I've attended the UT vs Vandy football game each time it's been in Nashville over the last decade or so. And they were wondering if I'd like to think about a season ticket package for this year's Vanderbilt schedule, which includes UT, of course. Salesman: However, when I heard your ring tone (which is Rocky Top), I figured you were probably headed to Knoxville for games. Me: As many as I can get to, yes. The salesman (who had a good sense of humor about the whole thing) then quoted me the price for tickets and told me about some of the other big games Vandy has this year. I politely declined the tickets and thanked him for calling me. At no point did I give into the obvious temptation to point out how I keep hearing how awesome James Franklin is (he's not) and how excited the Vandy fanbase is about the season and yet somehow they're telemarketing to sell tickets. He then concluded by saying that he figured I'd be on hand for the UT vs Vandy game and that they looked forward to seeing me then. I jumped into my car yesterday to head out to the Y, only to be greeted by news about the Tyler Bray situation. If you missed it, here's what Wes Rucker has come up with over at GoVols247.com. There are two separate incidents here. One is solved and not a police matter, and the other is an unsolved police matter that doesn’t seem to include Bray as a direct suspect. Bray and some other people were at their off-campus apartment on Friday night, and they admitted to tossing some empty bottles and golf balls off their balcony. I don’t know was drinking beer and who wasn’t, but I know there were empty beer bottles and golf balls that were tossed off the balcony. The guys said they didn’t mean to hit anyone’s car, but obviously they did. They claim they were just having some fun and being careless. Bray has admitted to being included in that group. The first woman went out to her car the next day and saw a crack in her windshield and a dent on the top. She also found a note from a second woman who said she saw what happened to the car. The second woman also called 911 as she was watching the guys throw the bottles and golf balls. I don’t know what happened immediately next, but I know that the guys (including Bray) agreed to pay the damages and move on. The first woman was satisfied with this and didn’t want to press any charges. It’s a college apartment complex. Things happen. Where things get interesting is this: The second woman found damage on her car in a separate incident that happened during the day on Monday, around lunchtime. She suspected that group of guys was responsible for what she considered retribution, and she went to the police, who took down her story but couldn’t do anything about it because there were no witnesses to the event. The police looked into that situation but haven’t learned much, and Bray apparently couldn’t have done it because he wasn’t at the apartment complex during the only time her car could have been vandalized. This is why Bray’s friends were telling me he wasn’t there — because apparently he wasn’t there for the second incident, the only one that’s a police matter. Bray and his roommate were evicted from the complex for the first incident, and Bray learned that earlier in the day Monday. On the field, Bray has all the physical football gifts in the world, as evidences in last year's blow out of Cincinnati. But then you hear reports about Bray's football gifts between the ears, where it counts the most. That coupled with rumors that Bray and several underclassmen didn't give their full effort in the Kentucky game last year, not wanting to go to a "lesser" bowl game and then this incident....it makes continue to question if this guy will ever the quarterback he could be at Tennessee. We've heard so much about how Bray has grown up in the off-season, but then you have a boneheaded move like this one and a lot of questions come back into play. Whether it's fair or not, Bray is the starting QB at UT, he's supposed to be a leader on the team. It's time for him to grow up and start acting like one. Next Thursday as fall practice starts, the focus won't be on the team and expectations for the year, but instead on Bray acting like a nimrod. If I'm Derek Dooley, I have to be shaking my head and feeling that knot of tension in my gut get just a bit tighter today. Dooley's future at UT is directly tied to Bray's success on the field this year and how big a step Bray makes. Bray falters, Dooley is gone, pure and simple. Close to a decade after he revitalized the Batman franchise, director Christopher Nolan brings his more grounded take on the Dark Knight to a close with a triumphant film that not only ranks as one of the best super hero movies ever made but as one of the best films of the year--superhero or otherwise. 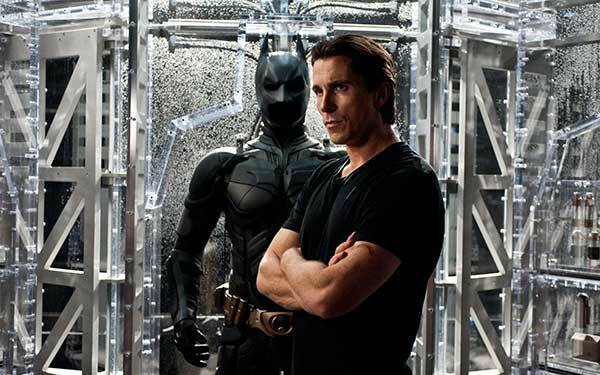 The Dark Knight Rises is a triumph and one that the minute you're doing seeing it, you'll want to see several more times. Opening eight years after the close of The Dark Knight, Rises finds Gotham enjoying a huge drop in crime thanks to legislation passed in honor of Harvey Dent. But the decision to allow Batman to take the fall instead of revealing what happened to Dent in his final hours haunts both the reclusive Bruce Wayne, who has given up the Bat-mantle and Commissioner Jim Gordon. Gordon is wracked by guilt and Wayne is tortured by memories of Rachel and her death. TV Round-Up: "Breaking Bad, Eureka"
It's kind of a bittersweet week for two of my favorite shows. Breaking Bad makes its return, kicking off the fifth and final season of what is one of the best--and most addictive--shows on TV. Then we've got Eureka winding up its five season on the air with a series finale that, for the most part, hits all the right notes. After taking in and enjoying the Canon County Arts Center production of Camelot early this year, my lovely wife and I decided to take the plunge on season tickets. Over the past several months, we've enjoyed a lot of great shows including a one-act version of Tales of a Fourth Grade Nothing, the stage version of Arsenic and Old Lace and a show that was unfamiliar to us before we saw it, Duck Hunter Shoots Angel. 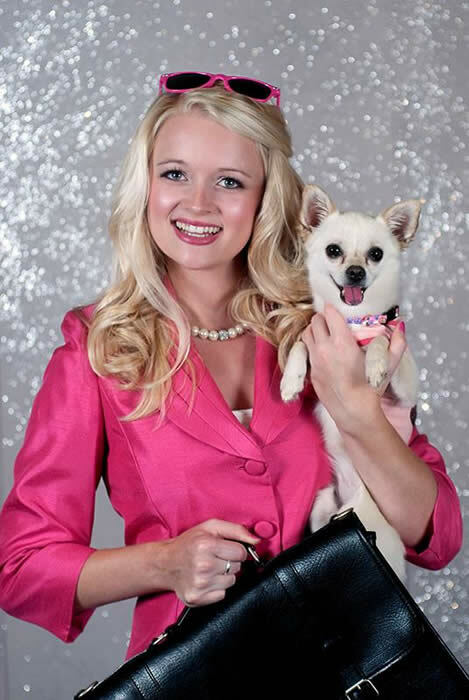 All were great, but the one we took in this weekend really knocked it out of the park and is my new favorite of the season--Legally Blonde: The Musical. Based on the movie of the same name, it's the story of Elle Woods and her pursuit of love from the campus of UCLA to Harvard Law School. After getting dumped by her long time boyfriend for not being serious enough for his law career aspirations, Elle makes up her mind to prove him wrong. She gets accepted to Harvard Law School and soon begins to shine there, thanks to a tutor, Emmett and her friend, Pamela, a local beautician. Now, I've not seen the original Reese Witherspoon film on which Legally Blonde is based (some of you are gasping in horror, I know) so I went into the play with no expectations. I can't say whether it was faithful to the source material or not, but to me it doesn't really matter. From the opening moments all the way to the final big number, the songs were infectious (I'm still humming them two days later), the cast was superb and the production another winner from the Canon County Arts Center. Retro Review: Star Trek--"Dagger of the Mind"
Once again, it's time to look back at an episode of classic Star Trek. In this case, it's "Dagger of the Mind," which I'll give you is a lot better than "Miri" but it's still not one of my favorite first season episodes. Before I discovered Star Trek or Doctor Who, there was Spider-Man. I fell in love with the character from his appearances on the Electric Company and was an avid comic book collector in my younger days with a large portion of my collection devoted to the web-slinger. And during all that time of collecting and loving Spider-Man, I always heard rumors that a movie based on the hero was just around the corner. Turns out that corner took close to two decades before it was turned, but when it was, I was more than pleased by the results. 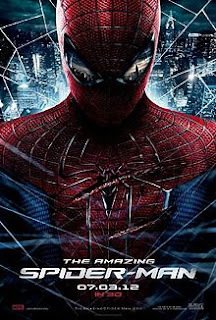 The original Sam Raimi directedSpider-Man was everything I wanted from a film adaptation of my favorite super-hero and a few years later Spider-Man 2 became the gold standard by which I judge all other comic book movies. Sure Spider-Man 3 was a bit of a letdown, but I’m one of the few who will defend portions of the film and see how it could have been better had the studio stepped back and let Raimi follow his vision for the franchise instead of forcing certain decisions on him and the script. So, I’ll admit that when it came time to see The Amazing Spider-Man, I was both optimistic and pessimistic about the whole thing. On the one hand, I was eager to see a new cast and crew’s take on my favorite super-hero. On the other hand, I wasn’t exactly eager to experience another origin story movie nor was I certain this set of filmmakers could capture lighting in a bottle again like the Raimi trilogy did. And that’s the biggest thing working against The Amazing Spider-Man. No matter how you feel about the Raimi films, there will be inevitable comparisons between the two takes on the super hero. My full review is posted HERE and HERE.